Based in Aotearoa New Zealand, we are committed to raising awareness about the Treaty of Waitangi, indigenous rights, racism, colonisation and their implications for all people. We do this primarily by providing educational workshops. Since 1991 we have worked in over 300 New Zealand organisations in health, education, justice, environment, conservation, government departments, private businesses, tertiary institutions, trade unions, churches and community groups. More than 50,000 people have attended our workshops. From 1996 we ran training for trainers sessions in Canada, where the New Zealand workshop model has been adapted. In 2010, Robert was invited by the Committee for Perth to introduce and lead a "Healing Our History" workshop in Western Australia. Please note that Robert is no longer running workshops and public workshops are not available from Waitangi Associates. For other workshop facilitators, see Workshops. (scanned with permission from Mana Magazine). 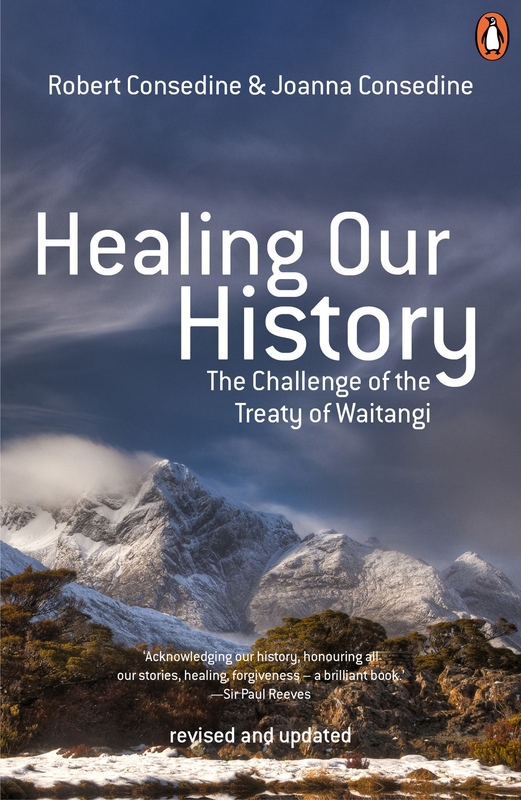 Michael King, historian: This is one of those books that New Zealand needs. The updated best selling book from Robert and Joanna Consedine. See what leading New Zealanders are saying. Printable brochure and order form.